Consumer Credit has been in business for 26 years. Additionally, the company is accredited with the NFCC and AICCCA. American Consumer Credit Counseling, AKA Consumer Credit, has been in the credit and debt consolidation business for over 26 years. Consumer Credit is a non-profit organization that provides credit counseling and debt management programs. Their services are available nationwide and have no minimum debt requirement. Consumer Credit offers a free consultation with certified counselors. They are also accredited by the NFC and AICCCA. Consumer Credit offers services to help people regain control of their finances by providing professionally trained and certified counselors to meet the individual needs of consumers saddled with unsecured debt. They encourage those under economic hardship to call their toll-free number for a consultation to determine if a counseling session or another one of their product offerings would be of benefit. Counseling sessions are provided free of charge and are geared to assess the current financial struggle of each caller. A certified counselor will help consumers paint of picture of their financial status by reviewing income, assets, and expenses. Ultimately, they will create a budget which will work to meet the needs of struggling families. They may also recommend a debt management plan to those having difficulty keeping up with their monthly payments to creditors. Consumer Credit is accredited by the AICCCA and NFC. These accreditations indicate that Consumer Credit is dedicated to best practices in the industry. These accreditations guarantee a level of quality in services and business practices. Additionally, Consumer Credit’s credit counselors are all certified. Although Consumer Credit is a non-profit organization, it lacks the critical ISO certification that we look for in these kinds of companies. ISO 9001 would indicate that Consumer Credit is undergoing regular independent audits to verify that they are operating as a legitimate non-profit. While this is not a deal breaker, we would like to see this certification. Perhaps more important to most customers is the fact that Consumer Credit doesn’t disclose the average interest rates on its debt consolidation plans. This critical piece of information is what allows customers to see how affordable a company is compared to the competition, especially when consolidating large amounts of debt. We would also like to see Consumer Credit disclose monthly and up-front fees. The company would do well to outline risks associated with a debt management plan and inform consumers of those pitfalls. Consumers have the option to cancel services at any time without penalty from the company; however, keep in mind there may be penalties associated with creditors such as interest rate spikes and late fees being added back to accounts if the program is canceled. Consumer Credit is well accredited, available nationwide, and offers certified counselors to help every step of the way. However, we dislike the lack of transparency in their fees and interest rates. At this time we do not recommend working with Consumer Credit. American Consumer Credit Counseling (Consumer Credit) is a non-profit credit counseling agency that provides customers with a credit counselor to build a debt management plan. This debt management plan helps customers consolidate their debt into one monthly payment with reduced interest rates. Consumer Credit disperses this monthly payment to all of the creditors accordingly. Consumer Credit also offers customers various financial counseling services such as credit, bankruptcy, housing, and student loans. Yes. They were very helpful with us in determining what kind of services we needed and there was no charge to do so. 26 years. They’ve been in business since 1991. No. Generally, you will not receive your money back for fees you’ve paid. 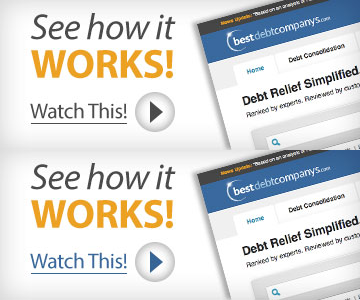 They work with customers that have unsecured credit card debt. They do not issue loans of any sort; they are strictly debt management and credit counseling only. Yes, they offer a mobile friendly website. You can cancel their services at any time you choose, however we were warned that if you do so, your creditors may come back with higher interest rates since you no longer have American Consumer Credit Counseling acting on your behalf. There is no minimum debt. They understand that some individuals might be in a hardship with only a few hundred dollars of debt, just like someone might be with several thousand. American Consumer Credit Counseling (ACCC) provides their customers with an online dashboard that includes their creditor information, payments, percentages, budgets, and recommended guidelines. ACCC’s financial counselors are not CPFC certified, but they are certified debt management professionals. ACCC is not ISO certified, but it is a member of The Association of Independent Consumer Credit Counseling Agencies (AICCCA).